Rugged shores, magnificent waterfalls, lush forests and fertile farm country — Oregon calls me back year after year with its unforgettable state parks. Camping by RV in Oregon is an ever-changing pleasure. 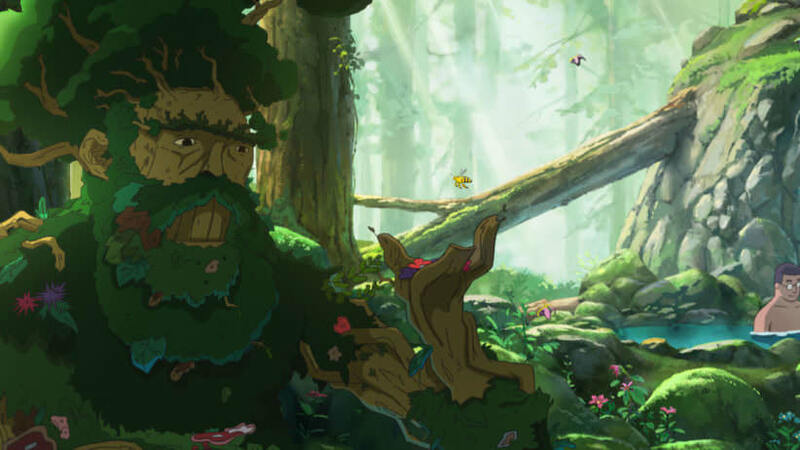 With nearly 200 Oregon States Parks, you can find just about any experience you seek. For this camper, RV travel to Oregon State Parks means getting outdoors and discovering all that nature has to offer. Whether I’m hiking, following a single-track trail or scrambling over a rocky beach, I always discover new places on my Oregon camping vacations. Here are just a few of my favorites, plus some tips for making the most of your own RV travels to Oregon’s state parks. 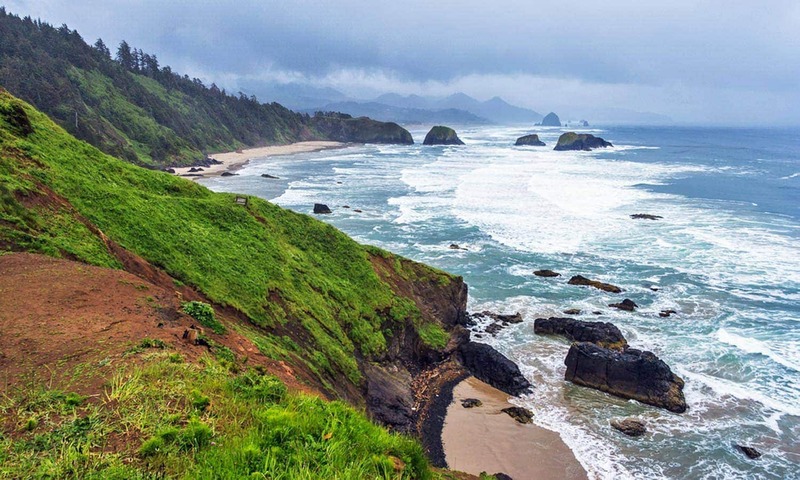 All 363 miles of Oregon's coastline are free and open to the public, thanks to a landmark 1967 beach bill. If you want to visit the Oregon Coast with an RV, you need to plan ahead. Ecola State Park, for example, offers stunning views of Haystack Rock and the wild beauty of the coastline, but you’ll need to camp in nearby Cannon Beach or Seaside. Fort Stevens State Park, a vast preserve at the mouth of the Columbia River, thrills my inner history geek with a historic fort and the shipwreck of Peter Iredale. Nehalem Bay State Park, south of Ecola State Park on Highway 101, is perfect for me to wander the sandy beach, enjoy horseback riding and sleep in RV comfort. Cape Blanco State Park, at the southern end of the state, has the right mix of history and rugged coastline, with tours of the Historic Hughes House and Cape Blanco Lighthouse available April through October. 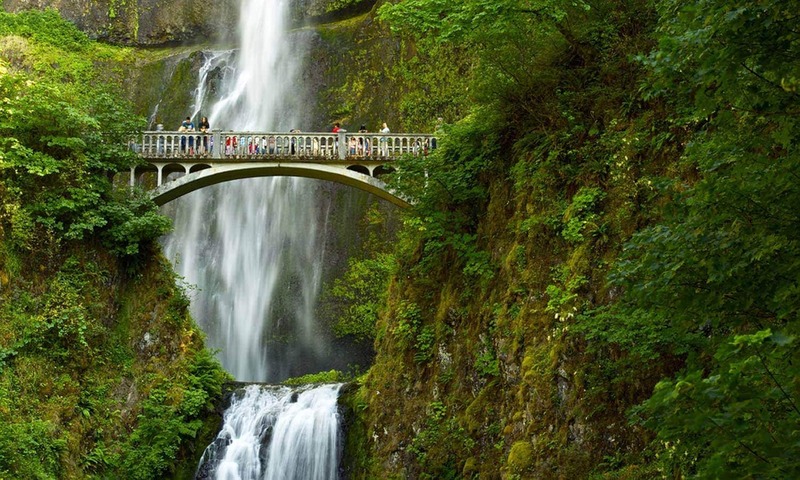 Multnomah Falls is by far one of Oregon's most popular attractions, so avoid the crowds by staying nearby at Ainsworth State Park. Within the wonder of the Columbia River Gorge National Scenic Area, I often hike the parks in search of waterfalls. I can’t discuss the Gorge without mentioning Multnomah Falls. It’s the jaw-dropping star of the Historic Columbia River Highway Scenic Byway, a legendary 70-mile road that runs from Troutdale to The Dalles. Multnomah Falls is one of eight cascades in a “waterfall alley,” connected by the historic highway and hiking trails. You can view Multnomah Falls from the historic highway, with a few bus/RV designated spaces in the parking lot, or hike to it from a nearby state park. One of my favorite state parks is Bridal Veil Falls Scenic Viewpoint. The park’s upper trail leads to a magnificent view of the Columbia River Gorge, and the lower trail leads to the base of Bridal Veil Falls. Another wonder worth the short hike is Latourell Falls, visible from Guy W. Talbot State Park. In between is Shepperd’s Dell State Natural Area, with a short, paved trail to Shepperd’s Dell Falls. And you won’t want to leave the Gorge without a drive up to Vista House for the view of a lifetime. Ainsworth State Park, at the eastern end of the waterfall alley, has 40 full-hookup sites and easy access to Nesmith Point trail. Note: many trails around the campground are closed due to the 2017 Eagle Creek Fire. Viento State Park, between Cascade Locks and Hood River, has 56 campsites with water and electric hook-ups, plus river access. Memaloose State Park, overlooking the Columbia River near The Dalles, has 43 full-hookup sites. Central Oregon is a high-desert playground known for hiking, cycling, climbing, fishing, rafting and more. LaPine State Park, south of Bend, where fly fishing the Deschutes River and hiking the park’s four loop trails makes for a near-perfect outdoor vacation. 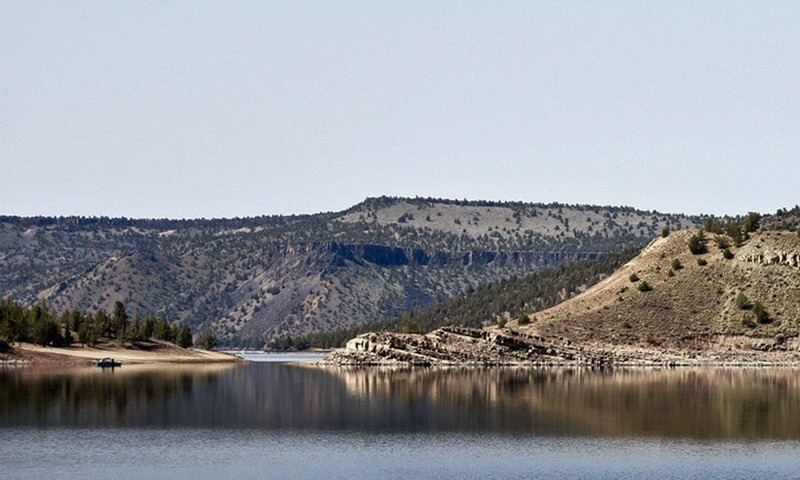 Prineville Reservoir State Park (pictured), east of Bend, has a high-desert lake, perfect for boating, fishing and hiking, plus the two campgrounds offer almost all the comforts of home. Oregon’s state park campgrounds are calling — I hope to see you there soon. FYI: Here’s a great map of RV dump sites in Oregon.